Wave times start from 7:00am and go every 15 minutes there after. You will choose your preferred starting wave at booking. Please note, the 7:00am first wave is for competitive participants only. 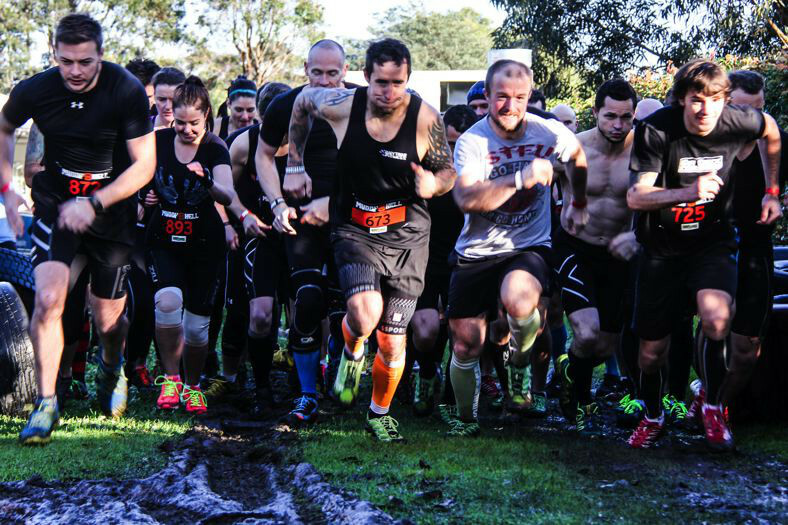 Waves are of 25 participants unless a group purchase is arranged directly with Muddy Hell, large groups should book early to avoid disappointment. Gluttons (multiple lap participants) should book a start time early enough to allow time for multiple waves. Tickets can be transferred to another person or a future event. Tickets will only be transferred to a future event if a valid medical certificate is provided showing a legitimate physical injury (ie, not sick, flu etc).